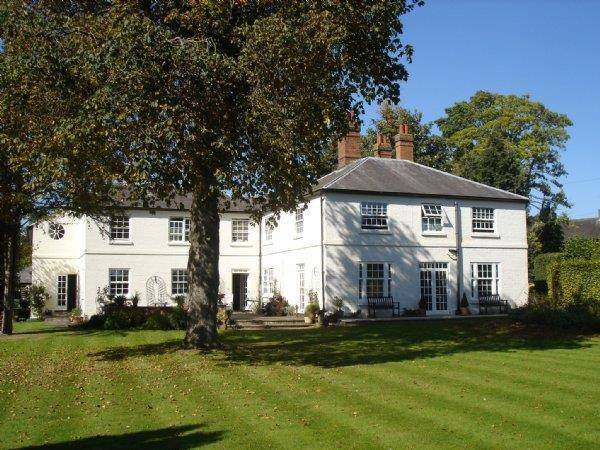 Marston House, near Leamington Spa, offering two large, light bedrooms for bed and breakfast (each with its own private bathroom or power shower), in elegantly furnished and comfortable surroundings. Marston House is in a beautiful and historic conservation village, near the site of an old Priory. The lane outside our house is known as the Welsh Road. Along it King Edward II marched his army for the Welsh conquests and the sheep were driven to the hills on the borders with Wales visible from the top of the hill. •	Located in a quiet, safe conservation village in pretty, hilly countryside. •	Friendly advice on what to see, how to get there or where to eat. Or eat here if booked in advance. There is also a pub in the village giving you a chance to sample the local ales. •	Delicious food - Kim both studied and taught at Cordon Bleu in London. Join us for supper in the kitchen (£29 for 3 courses on a set menu). •	Alternatively if you would like dinner by yourselves in the dining room please book in advance for not less than four people at a price to be agreed. Castles or the University in which you are interested, be sure to stay with us!